Written by USD Student Wellness | Sunday, March 11th, 2018 at 1:57 pm. Health and fitness is such an important part of everyone’s well being. 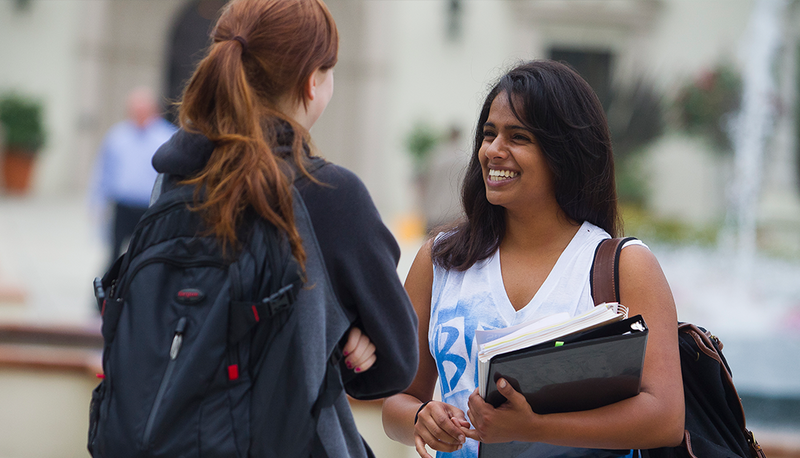 After doing some research on our own http://www.sandiego.edu/ website I was amazed at how many different workouts and activities USD has available for students to utilize. 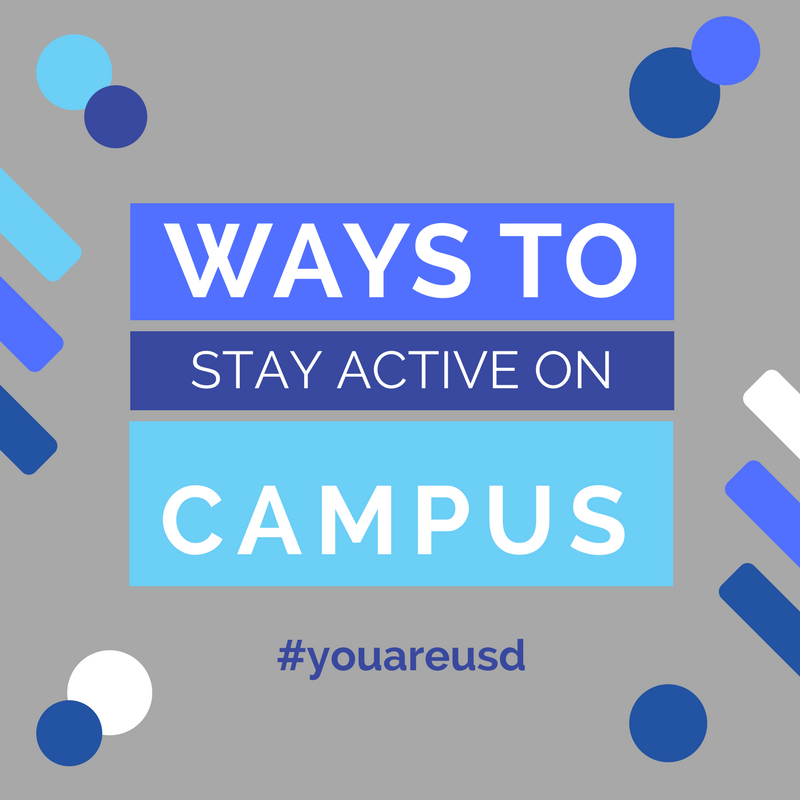 USD has a plethora of resources to help students stay active and involved. Whether you are looking to get in shape, explore new forms of workouts, exercise with friends, get credit for an elective fitness class, or simply want to focus on your health, I encourage you to check out the many options USD provides us with to practice a healthy and active lifestyle! The McNamara Fitness Center, most commonly referred to as the JCP gym, is one of the two fitness centers we have on campus. The McNamara Fitness Center is located in the Jenny Craig Pavilion, overlooking the USD baseball field. At this fitness center, you can find a variety of ways to workout including everything from treadmills, ellipticals, bikes, free weights, weight machines and padded mats so you can do your own floor workouts. To access the McNamara Fitness Center you just need to bring your school ID for entrance. The Mission Fitness Center is home to the three story fitness center located in the valley. While anyone can go workout at the Mission Fitness Center with their school ID, students can also enjoy smoothies and food at the Missions Cafe located on the 1st level. The 2nd level is home to all the cardio machines and the 3rd level is mainly dedicated to weights. The Mission Fitness Center also has a versatile studio located on the first level where a variety of USD fitness classes take place. USD Fit is a workout program that allows you to take classes such as Yoga, Pilates, Spin, Abs & Toning and a wide variety of other fitness classes taught by USD community members. With USD Fit classes, you pay a small fee to participate in a certain workout class for the whole semester. The USD Fit program offers classes year round during fall and spring semesters and our intercession and summer breaks. While many don’t know it, USD offers personal training for students interested in one on one fitness coaching. The personal trainers are trained to support you in working towards your personal goals onoverall health and physical activity. To learn more about personal training packages visit the link above. As many USD students know, intramurals are a great way to get involved on campus, meet new people and get a fun workout in while doing it. Intramurals are $45 for a full year. Visit the link above to view the intramurals calendar and register! If you played sports in high school, joining a sports club team may be a great fit for you! It is a level down from being on the official sports team for USD but also a step up from playing on an intramural team. Being part of a sports club requires an initial try-out for the team, attendance at weekly practices, games and tournaments. Click the link above to learn more about the different club teams that are available at USD. Students are able to receive .5 units per semester for participating in a regularly scheduled recreation class. Campus Recreation offers over 60 classes each semester to choose from. Visit the link above to learn more about the different classes you can choose from and how to register online. The Sports Center pool is a great place to relax with friends on the weekend or get a quick swim in on those warmer days in San Diego. Click the link above to see when the pool is open to the public. The Mission Bay Aquatic Center is located in nearby Mission Beach and offers a variety of outdoor-ocean classes for USD class credit! USD Outdoor Adventures, also known as OA, allows students to take part in a variety of outdoor activities in San Diego and several out of state destinations. Some of their most well-known programsinclude the Pre-orientation retreat for first-year students, overnight trips, outdoor recreation classes, and day trips around San Diego. OA is located in UC 136. OA also offers various rentals for students to use on their own adventures. They rent out a variety of equipment including tents, sleeping bags, backpacks, stoves, kayaks, surfboards, wetsuits, bikes and so much more! Next time you are planning a beach day or camping adventure remember to go check out the trips and rentals OA has to offer you! For the moments when you don’t feel up for an indoor workout but are still wanting to be active, consider utilizing USD’s campus walking map. With such a relaxing and beautiful landscape, our campus provides a wonderful place to stretch your legs and take a break from your work indoors.